The interesting ideas on how to organize a small bathroom vanity can be seen in the following post below. Without a vanity, the small bathroom usually is filled with a lot of clutter. The bathroom will be more attractive to view if you have an enticing vanity. 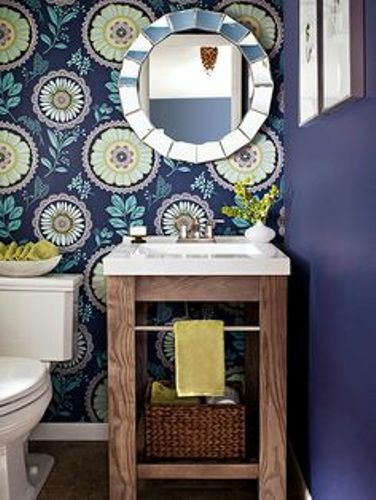 Be creative when you put the small vanity in the bathroom. You can set it at the corner space or you can mount it on the wall. The countertop above the vanity can be left in bare look. Many people place various types of cosmetics, beauty tools and toiletries above the countertop. It makes the space look cluttered to view. It will be great if you keep those items and knickknacks inside the small vanity. 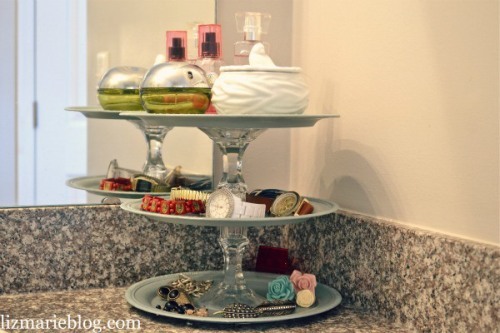 Or you can have a small organizer on the countertop to hold those pieces. The vanity cabinet door does not have to look empty. You can attach the sheet of galvanized steel on the door surface and put the magnetic hook on it. Use this space to hold the small items such as the manicure tools. Let’s find out the organization of the small vanity. The items that you have in the bathroom should be sorted. 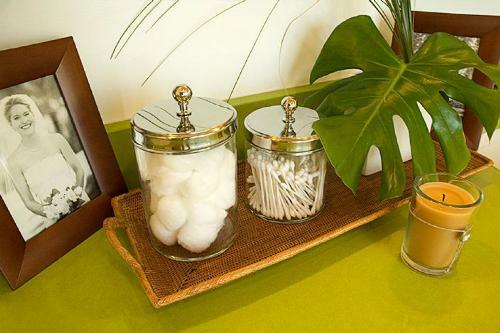 You have wire baskets or even plastic boxes located inside the small vanity. Each basket can be filled with hair care supplies, cosmetics, shaving supplies and beauty tools. If the bathroom is accessed by all members of the family, it is better for you to label each basket inside the small vanity based on the name of the person. Therefore, they can pick the personal basket quickly in the busy morning. 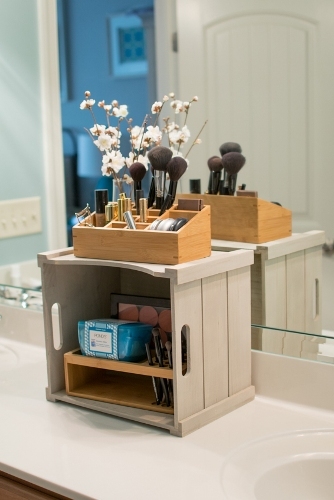 Check guides to organize makeup in a small bathroom here. If the space allows, you can install shelves and towel bars at the top of the small bathroom vanity. 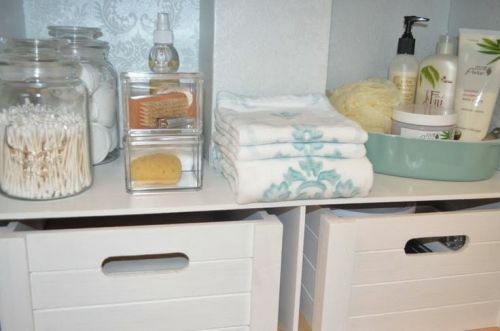 The shelves above the vanity can be used to store the extra tissues, towels, candles and other knickknacks. The towel bars can be used to hold the draping towels. Purchase the item with has three to five bars so that it can hold some towels. If you have more money, you can pick the heated towel bars. Get ideas to organize under the bathroom sink here. Are you impressed after reading ideas on how to organize a small bathroom vanity?